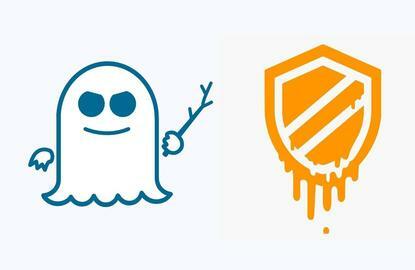 The vital information you need to know about the serious Meltdown and Spectre CPU exploits isn’t whether your PC is inherently vulnerable to them—it is—but whether your system has been patched to protect against the flaws. Finding that information isn’t easy though. You need to sift through update logs, cross-referencing them with arcane vulnerability identifiers and Microsoft Knowledge Base codes—or at least you did. 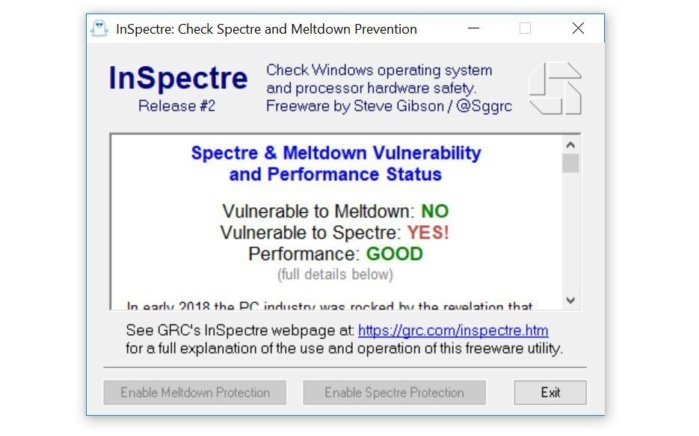 Noted security researcher Steve Gibson recently released InSpectre, a wonderfully named, dead simple tool that detects if your PC is vulnerable to Meltdown and Spectre. Scrolling down reveals a more in-depth explanation of your PC’s security situation, once again using no-nonsense language to help you understand what’s protected and what’s not. Much like Gibson’s other software, InSpectre just works. This is the sort of software Microsoft or Intel should have released to help clarify the murky, convoluted patching situation around this devastating duo of CPU exploits. InSpectre is still in its early days. The first version triggered false positives with antivirus software, though that was fixed in a subsequent release. “PLEASE do not get a copy of this program from any 3rd-party download site, since that one could actually be malicious,” Gibson writes. While InSpectre does a stellar job of giving you high-level information about whether your core system has been hardened against Meltdown and Spectre, updating your operating system and CPU aren’t the only safeguards you should make. These exploits touch every aspect of your system. 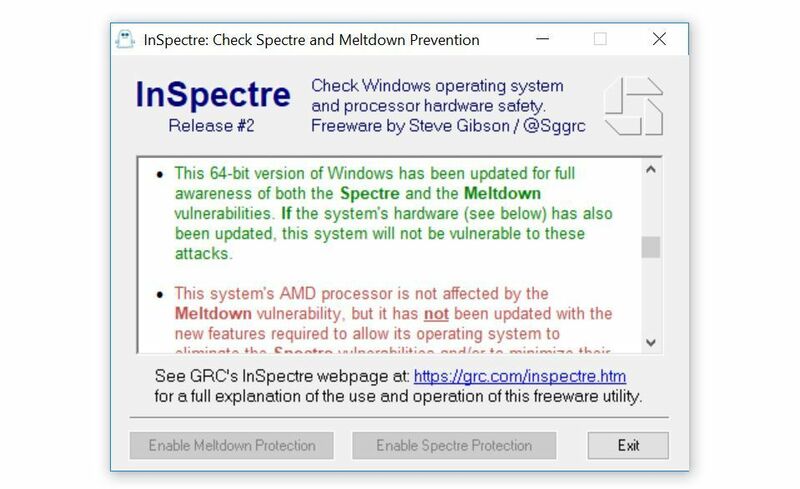 PCWorld’s guide on how to protect your PC from Meltdown and Spectre can walk you through the process step-by-step to keep your computer as safe as possible. Be sure to keep your security software vigilant, too. While no known Meltdown or Spectre exploits have been seen in the wild, it’s only a matter of time now that the CPU flaws are public, and would-be attackers need to be able to run code on your PC to take advantage of them. Security software keeps malware that grants those capabilities off your computer. PCWorld’s guide to the best antivirus suites for Windows PCs can help you find the best security solution for your situation.